The Chateau de Paraza Minervois Cuvee Speciale, a smooth find from Minervois. 40% Grenache, 40% Syrah and 20% Mourvedre from Minervois, Languedoc, France. 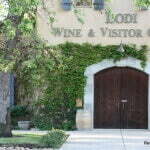 The wine is matured in cement vats. 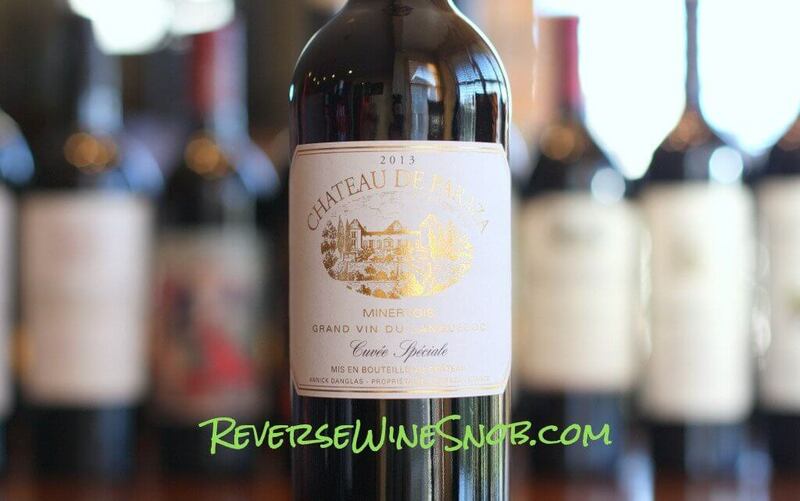 This review is brought to you by CorkExclusive where you can buy wines like the Chateau de Paraza Minervois Cuvee Speciale for just $12.99 plus get FREE SHIPPING on 3+ bottles (mix&match). The Chateau de Paraza Minervois Cuvee Speciale has an SRP of $18. 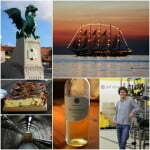 Imported by Verity Wine Partners. Chateau de Paraza is located in the heart of the Minervois appellation. The estate is intertwined with the history of the Midi region and once hosted Paul Riquet, the architect of the Canal du Midi and King Louis XIV. Today, the Danglas family applies its expertise and passion to express the best of the Minervois terroir, crafting wines of generous and delicious fruit with finesse and clarity. The Minervois appellation lies in the western part of the Languedoc region in France. 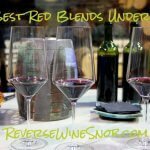 It’s a great place for Reverse Wine Snobs to find inexpensive red wines made from two of our favorite grapes, Syrah and Grenache. Like much of the rest of the larger Languedoc region the quality of the wines made here have improved markedly in recent times and often fly under the radar of most wine consumers. We encourage you to check it out. The 2013 Chateau de Paraza Minervois Cuvee Speciale begins with a pleasant aroma of black cherry, red licorice, raspberry and a little spice. Taking a sip shows the wine to be quite smooth and tasty with really well integrated spice and more juicy black cherry. The red licorice notes from the nose continue as well in this medium-bodied wine. It ends dry and tart with good length. Looking for more great GSM blends under $20? Find all of our recommendations, plus more info on this unique blend, here. Find the Chateau de Paraza Minervois Cuvee Speciale at CorkExclusive for just $12.99 a bottle plus get FREE SHIPPING on 3+ bottles (mix&match).